Pocketburgers.com: LaserSaber - A Radiant Saber pulsing with Laser Powered Energy! 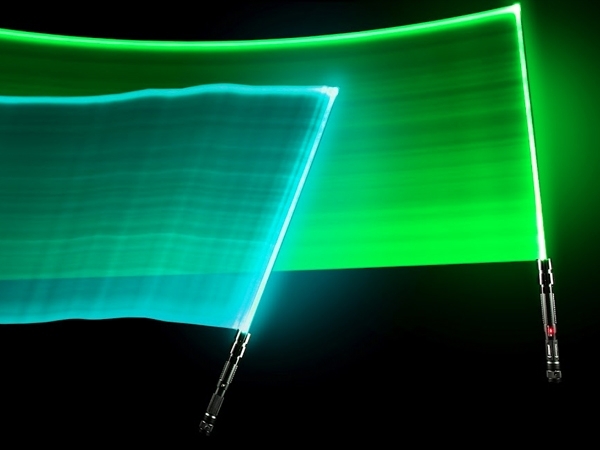 LaserSaber - A Radiant Saber pulsing with Laser Powered Energy! 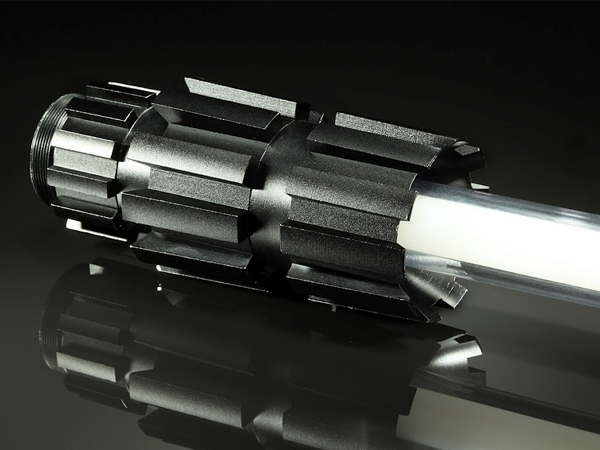 Transforming its Spyder 3 model "portable laser" into a real-life lightsaber glowing sword made from energy that infringes on NO copyrights whatsoever, this 32" polycarb "blade" uses a magnetic gravity system to achieve smooth power-up and -down effects, and is real enough to "cause serious damage to people, pets, and property".